My name is Kristina, I am 19 years old and I write about Zero Waste, conscious consumption and other related topics that have become more and more important for all of us. One year ago, in the summer of 2016, me and my friends traveled to Greece. Besides blue lagoons and white sandy beaches there were huge bunches of garbage bags full of PET-bottles, plastic sacs, yogurt cups and empty take away boxes. The waste smelled the whole week in the hot sun of Greece, never taken away by the garbage disposal or a street cleaner. In the morning, when we to visit the capital city of Corfu, I saw a dead dog near a bunch of garbage. This waste was absolutely awful! Greece is only one example for many places on our planet which cannot handle their waste anymore. In Austria, Germany or in touristy places I usually don’t see waste laying around. The garbage disposal always arrives on time and „removes“ the waste. But what happens with the thousands of plastic sacs, bottles and coffee capsules? My holidays in Greece were the days when I decided: My life is not going to continue like that! For me, it’s now time to end the useless every-day waste production. I swapped milk from plastic bottles against glass bottles and paper napkins against reusable ones made from cotton. On the internet, I read of Zero Waste bloggers, who can put their waste of an entire year into a preserving jar. In one part of my blog, Zero Waste, I write about this way of conscious living. I invite you to join me! 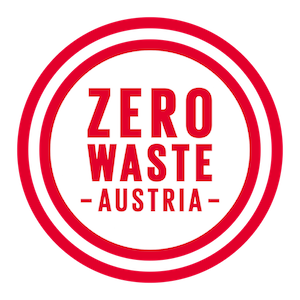 I recently started with Zero Waste and I am aware of the difficulties and dilemmas that it sometimes brings with it. But everybody has the potential to come closer to Zero Waste. Take your time to try out new ideas and break the routine of throw-away products. Make your Waste’s End come true! To enlarge the horizon and the covered themes of this blog, I write about other different topics related to consumption, waste and alternatives. A few months ago, I started containering. Thus, I focused my thinking on food waste too. In this blog I want to show you how stylish you can establish a life with less waste. Question your everyday behavior, be creative and think about alternative ways for necessary products. I choose to write a blog because Zero Waste is really a pulsatile, bubbly topic. Everybody can make new experiences and create new alternative to throw-away products. With our engagement, we can augment the potential of Zero Waste every day a bit further. Since my first day at school, I loved writing. In today’s communication, people use videos, pictures and emojis. Social media and publicity fill us with new pictures and stimuli. However, in my blog I want to share ideas, situations, photos and thoughts with you. Unpretentiously, without tricks. Another central point for me is that I want to spread my experiences and knowledge. My ambition is to ignite more people with enthusiasm for a sustainable lifestyle. What’s more? When I was a child, I always wanted to save the world. In my dreams I saw everything: The end of water in plastic bottles, animals saved from labs and the big party in the end when we celebrated that we solved all our “environmental problems”. Then I got older and searched for ideas: How could I make elements of my dreams come true? It might be difficult to have an impact alone. But together, we have the power to introduce major changes in our society! Visit Start (en) for the explanation of the different topics! P.S. English is not my maternal language. However, I decided to write this blog in english and german. If you find any mistakes, do not hesitate to contact me! If you want to share your opinion or have any other questions, just write me an email or post a comment.